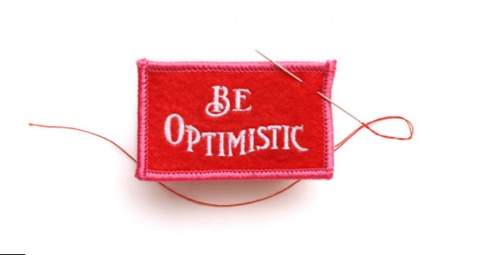 ‘Be Optimistic’ Felt Badge by BestMade Co. Being optimistic is, 100% of the time. better than the alternative! For yourself and everyone around you. I love everything about this. Love the type. Love the color. LOVE the message. Great find!! !